BaseN, founded in 2001 in Finland, enables clients to turn their products into intelligent services by gathering data using smart metres and sensors. “Traditionally, manufacturers lose control of their product when it has been shipped off. With our smart products, the journey is only at its beginning,” says Pasi Hurri, BaseN’s president and chief executive officer. Currently, BaseN’s clients include telecom operators, integrators and multinational enterprises. The company moves businesses into the digital service world. Data can be collected easily in real-time, giving clients full insight into the product’s life cycle. “For example, through sensor-equipped building components such as heat pumps and even roof tiles, we gather data on the various conditions inside and outside the building,” Hurri states. 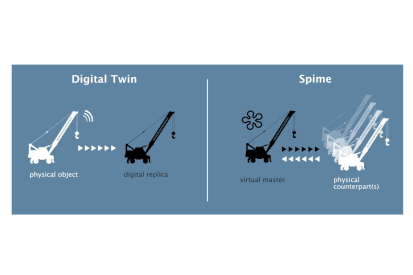 Spime, a term coined by author Bruce Sterling, is a contraction of the words space and time, and is used to refer to the digital replica of a physical item, that has all its essential information stored in the cloud. 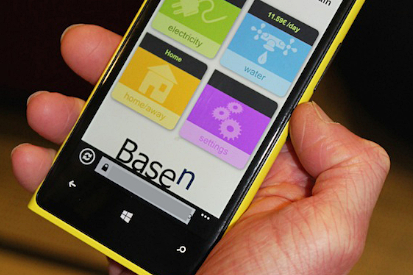 From the first energy-efficient apartment building where residents pay for their actual energy use only, monitored in real-time, to providing a faster reaction-time to issues for telecom companies, BaseN is able to provide many traditional industries new ways of generating revenue through intelligent services. “We’ve currently digitalised the work of more than 150,000 construction employees, as well as spimed buildings from single family villas to large apartment complexes,” Hurri explains. The spimes run on BaseN Platform, to which the company has full IPR. “Our platform is scalable, and works seamlessly, without interruptions to the service. Our biggest strength is that we own all of the infrastructure, including our own data centres and servers, and are not reliant on third-party services. We are able to offer our clients a long-term, all-encompassing, self-reliant service, all from under one roof,” Hurri concludes.